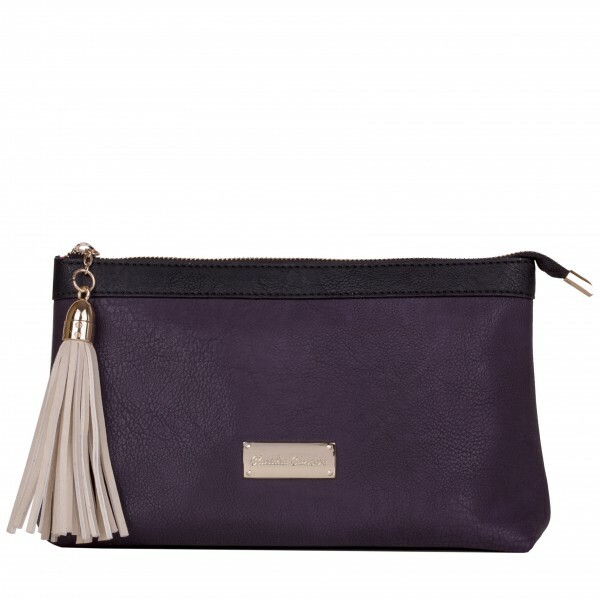 A stylish cosmetic bag to store your beauty products. The purple and cream autumnal colour-block gives it a feminine finish. Our branded plate and contrast tassel complete the look.